My goal for 2018 was to ride my bike when I could without disrupting my time with the family. As with last year, here is 2018 by the numbers (basically 2017 halved). 2017 was the year of little motivation, a lack of fitness and a shift towards not wanting to get on a bike… There was no game to have my head in. My goal for 2017 was to ride my bike at least four times a week and complete a Gran Fondo once a month… neither thing eventuated. As with last year, here is 2017 by the numbers. Wishing everyone a safe 2018! I was confident leading up to this race; my first event since Wildside in January 2016. I felt my fitness after months of solid time of the bike was good enough to get me through 100km of riding and I had planned my nutrition/hydration for 7 or so hours in the saddle. I had one aim and that was to finish the race… For the TLDR version of this Wrap Up: I finished. What I didn’t count on, was some big issues with my feet and knees during the last 10km. I was wearing relatively new shoes, which by this stage had been worn for around 200km of riding with no problems. My knees, in particular, my right knee, did not respond well to the sustained and steep climbs of the final 25km. But it was that last 10km that made me question whether or not it was the right decision to start racing again.
.:Time for a mid race selfie:. 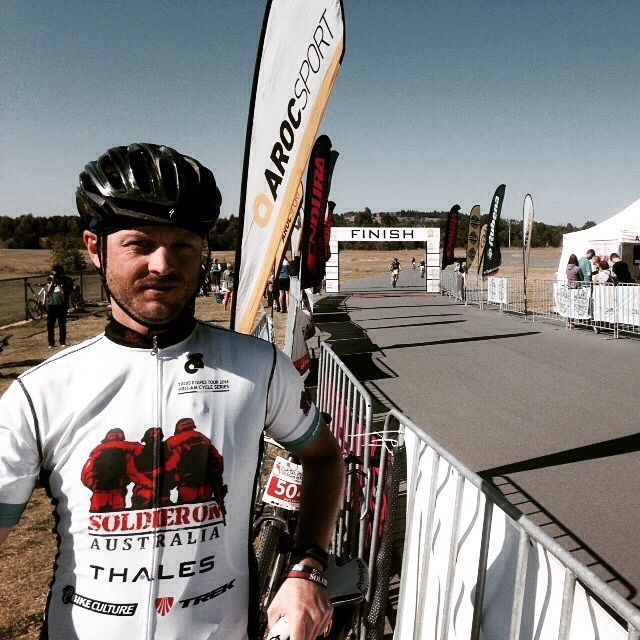 My 13 month sabbatical from racing and cycling events was brought on after my relocation from Canberra to Melbourne. Gone was the ease of simply riding 2km from my house to the northern section of Canberra’s Centenary Trail. 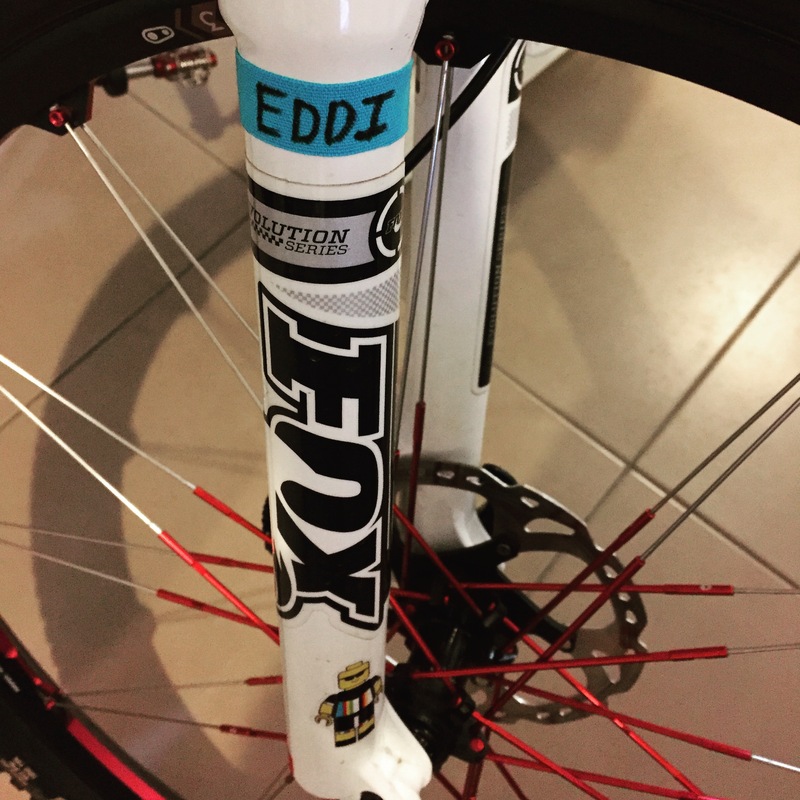 In Melbourne, in order to ride my mountain bike I have to undertake a 60 minute round trip with my bike on the car just to get some dirt under my tyres. A new job with an average one-way commute of 90 minutes, a chronic respiratory illness and the arrival of my son Sebastian; all combined to reduce my motivation to ride my bike. There were a few times I tried to reignite my desire to ride during 2016, but it wasn’t until the later part of the year I finally got my legs turning over regularly and with intent. The Otway Odyssey became my goal. I had no intention of racing for anything other than crossing the finish line. The race itself was relatively straightforward with an ample amount of climbing thrown in to challenge even the fittest of riders. It was on one of these climbs late in the race that I felt my right knee start to buckle under the strain. The final 10km was mix of acute pain and fatigue that forced me to take it easy on the simplest of single track and fire road. Like my return to racing, my return to Race Wrap Ups was always going to be a strange yet familiar experience to re-live again. 2016 was the gap year I didn’t want, but needed to, in order to see the bigger picture. My goal for 2016 was to find my mojo in a new city… I found it, it just took 11 months. As with last year, here is 2016 by the numbers. Number of events I raced in during 2016. Wishing everyone a safe 2017! Cycling is a (r)evolution. The simple action of wheels, cranks and legs turning over and over is metaphor for life. 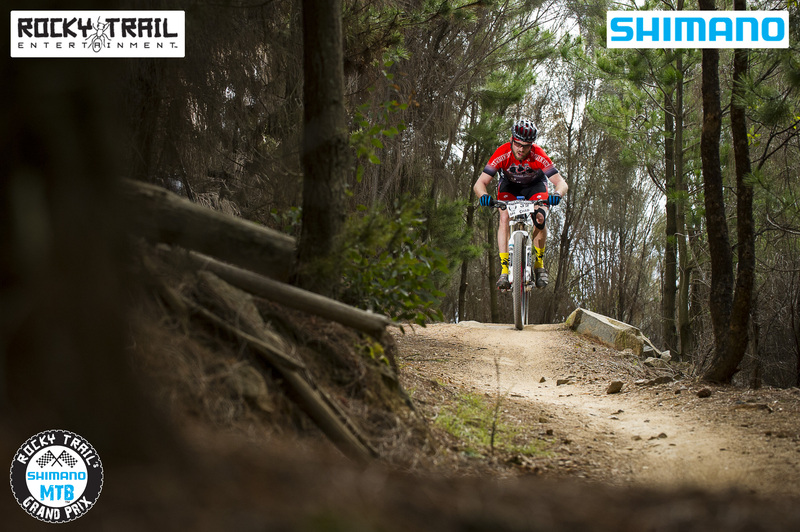 We navigate through the ups, downs and obstacles life throws at us and we use those experiences on the bike to do the very same with the climbs, descents and technical sections of a mountain bike race. 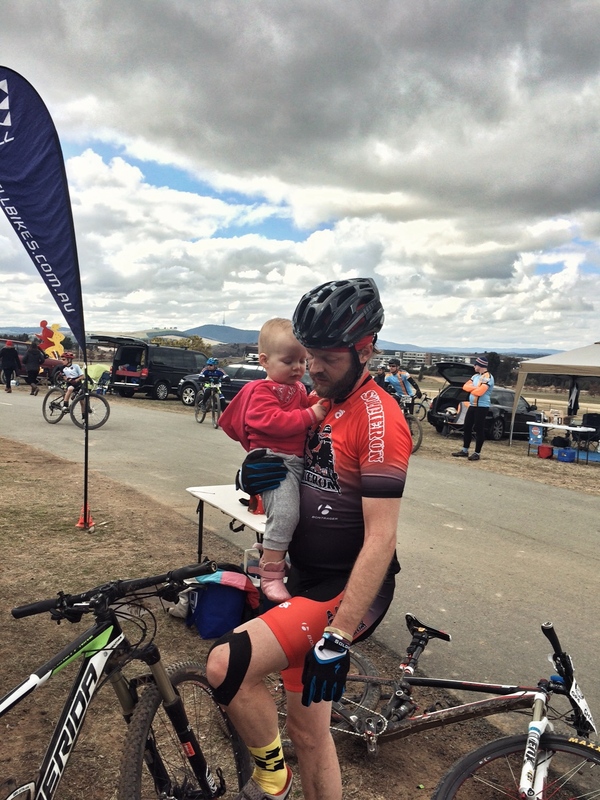 Wildside 2016 was the race and event that would realistically (for me) combine the challenges of the past, the present, the future and make you use all of that, and more, to push your body to its limits in order to ride a bike along the west coast of Tasmania. The idea was simple. 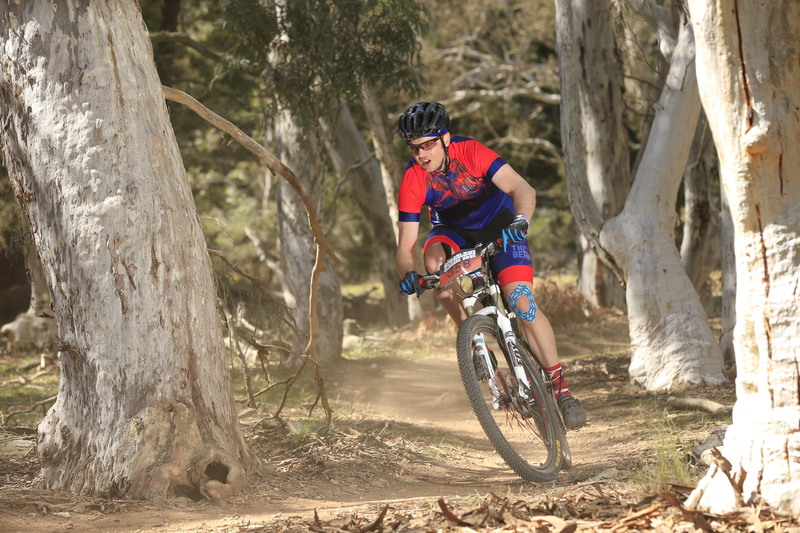 A team of Australian Veterans: ten days in Tasmania and a four day stage race; renowned for its beautiful scenery and decidedly difficult course. The basic premise of lead up and event has been explored and undertaken by various ESO’s in the past and an idea/strategy I had helped to establish and participated in previously with Soldier On Cycling and during the Trois Etapes in France 2014. Many lessons had been learnt from these various events and sadly, across many ESO’s, not a lot had been done to mitigate the issues that ultimately arise when people physically, emotionally and psychologically wounded undertake a challenging and sometimes life altering event. Akin to riding up a mountain you are faced with the arduous climb, the elation of summiting and then the relative ease of descending. But what happens when the riding stops? This is where the adventure ends and the routine of life starts up again. Combine this sudden stop with the fragile mental state of a vulnerable person and not only do new issues arise; but older, more dangerous issues can be compounded. Surely this is something that is taken into account when ESO’s conduct big marquee events? Well yes, yes they are but… Service affected Veterans do not act or react like the general populous. And this is why when the cameras and lights are packed away, when the celebrities disappear and when daily routine becomes the norm again, comprehensive and sustained follow up is a must. The majority of Veteran ESO’s are established on three pillars: Empower, Encourage and Enable. Each pillar is strong on its own, but by adding another to a Veteran’s recovery you are laying a stronger foundation to building a better quality of life upon. While the three E’s are a great foundation for a Veteran’s road to recovery, a three pillar system isn’t the most stable for an organisation looking to provide a robust, tailored and reliable support system for an extremely complex and varied group of people needing support. A fourth pillar is needed for an ESO to function effectively and achieve the results it sets for itself. That pillar is Collaboration. Collaboration has many forms in the ESO environment. In the Veteran community several ESO’s are providing similar, if not identical, programs and services, whilst some specialise in one area. Collaboration between these organisations may be the simple act of recommending and establishing contact with another ESO on behalf of a Veteran that would be of better assistance. Be it due to geographic constraints or the fact that they either don’t provide the service or the other ESO is simply better at it. Collaboration between ESO’s also requires the absence of Ego. These organisations are all competing for funding from commercial, industry and Mum and Dad benefactors. Sometimes this search for critical funds from finite sources leads to a loss of focus on what is effectively a life and death issue; improving Veteran Support Services. A recent increase in new ESO’s and smaller initiatives targeting single areas highlights the areas in support services that aren’t being addressed or have been put on hiatus by the bigger organisations. Some of these areas are integral to Veteran’s recovery and just as importantly, establishing connection with and maintaining a high level of awareness with the wider community. One such area is cycling as a facet for both recovery and raising awareness. Soldier On Cycling was one such initiative that quickly built a very strong foundation of Veteran and community support. I’m very proud to say I helped to found and establish this initiative; but like all things that should be kept simple, complications soon arose. The aforementioned presence of lack of Collaboration and excess of Ego have ensured that the wider Soldier On Cycling community is experiencing an indefinite hiatus whilst a small South Australian contingent experiences a high profile resurgence. Whilst the original premise and aim of Soldier On Cycling is long gone, it is encouraging to see the aim to support, encourage and educate is still alive with other ESO’s; in particular Mates 4 Mates and Ride 2 Recovery. Because of the no frills/KISS (Keep It Simple Stupid) approach, I applied for and was accepted as member of the Ride 2 Recovery Wildside 16 #VeteranTeam. The team was comprised of current and ex-serving contemporary Veterans who were all members/active supporters of either ADFCC (Australian Defence Force Cycling Club), Mates 4 Mates Cycling or Soldier On Cycling. Each of us would bring the very different perspectives of our service and cycling experiences to the team. 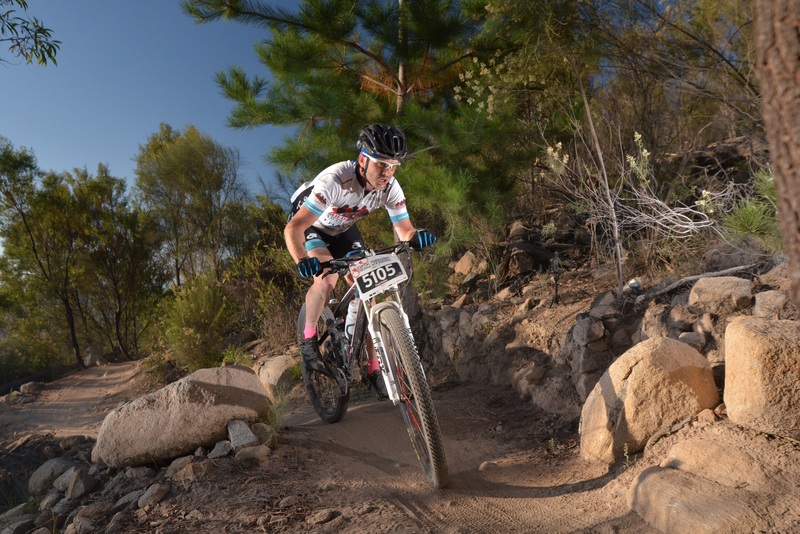 The intra-team collaboration between Officers and Enlisted persons, racers and weekend warriors would ensure a fluid and adaptive experience that could become the benchmark for all ESO cycling events in the future. 2015 was the year that I learnt no matter how much time, effort and care you put into training, racing and social cycling; injuries, illness and life will always derail the best laid plans. My goal for 2015 was to enjoy cycling. 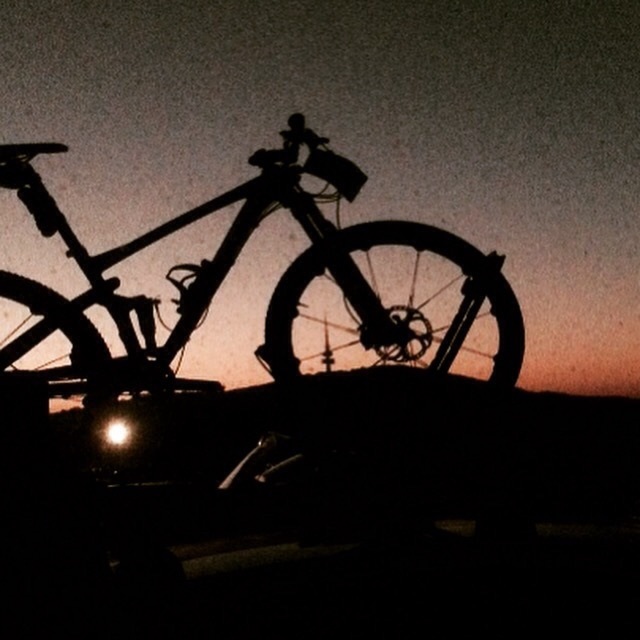 I lost a little bit of my love for the bike towards the end of 2014. 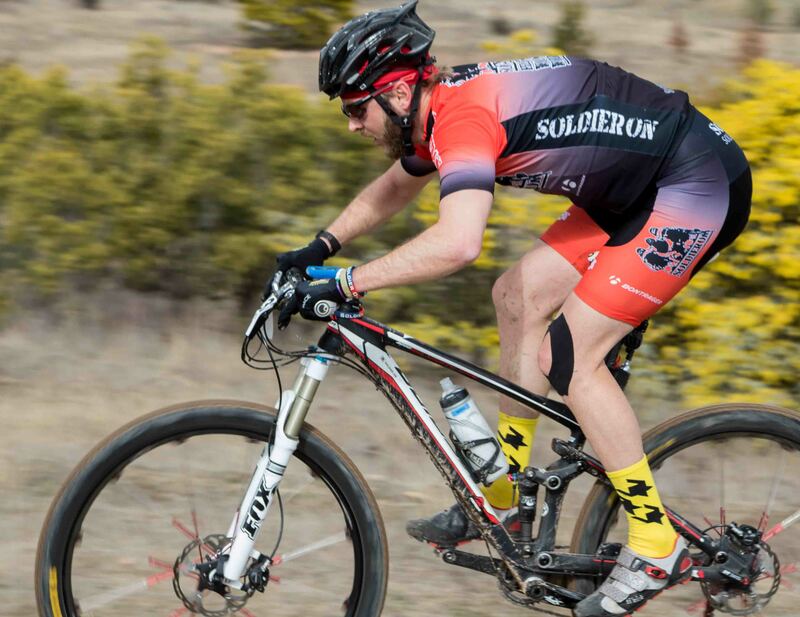 My failure to finish the Scott 24 Hour Solo in October was a huge hit to my confidence and the toll it took on my body would follow me late into 2015. As with last year, here is 2015 by the numbers. During a relaxed ride on the XTC during wet weather I lost traction and hit the ground hard. 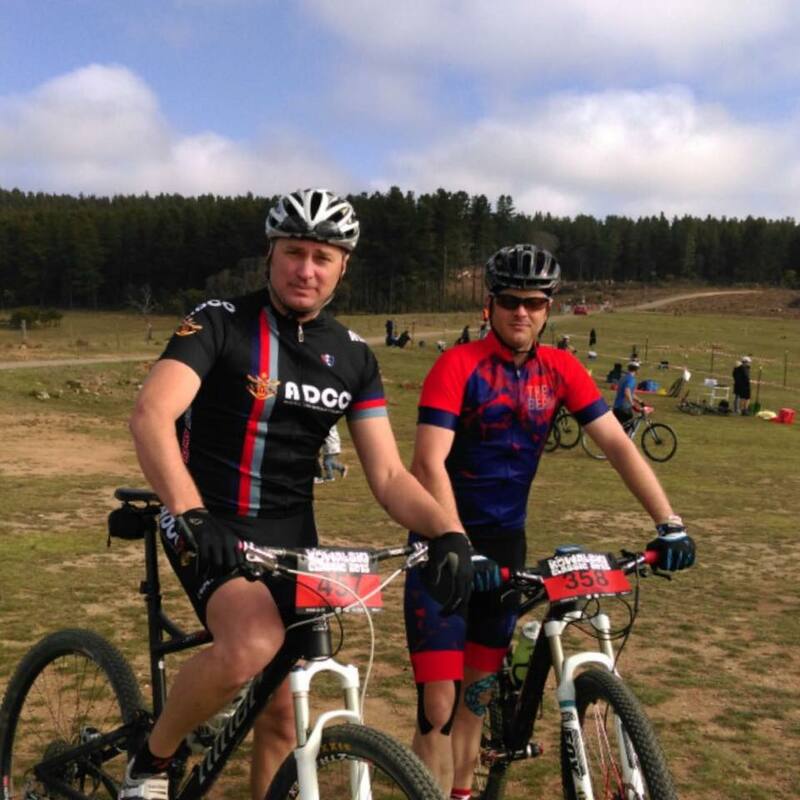 A hairline fracture in my collarbone followed and a few weeks off the bike was required.
.:Andy & I at The Kowalski Classic :.
.:Argo and I repping Soldier On:. Wishing everyone a safe 2016! 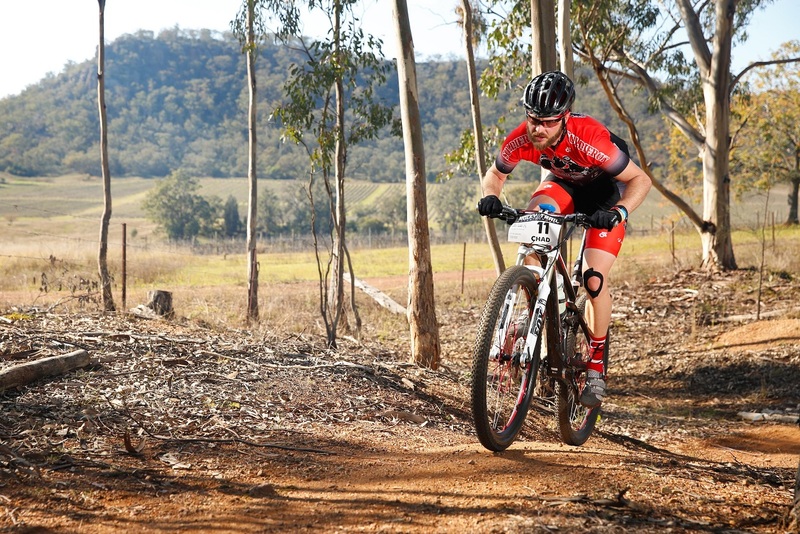 The inaugural Kowalski Classic, held in September 2012, was my first ever mountain bike race. Barely a month before, I had bought a Giant Anthem X 29er and the furthest I had ridden on a mountain bike was 36km of half fire-road/half singletrack. I remember my poor pre-race prep, not enough of some things and too much of other things. I remember riding the Kowalski Brothers’ Kowen Forest trails for the first time and being in awe, I also remember the incredibly painful cramping; followed by the days of DOMS after the race. 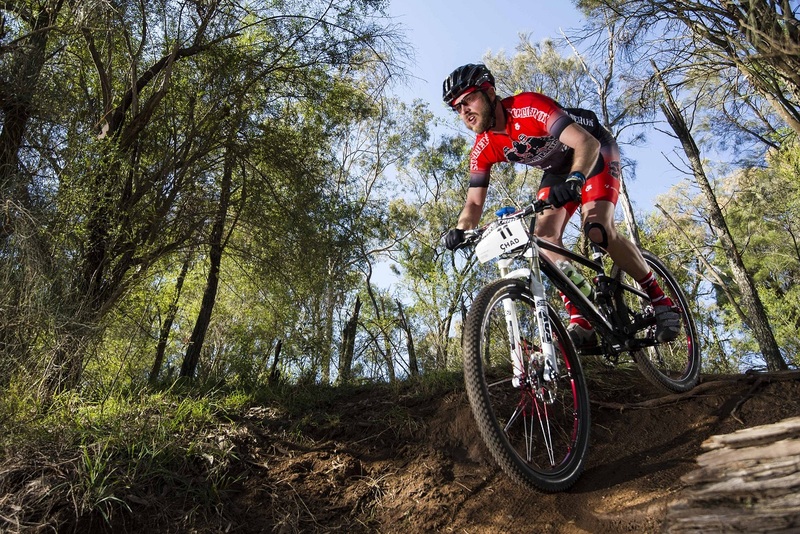 This was my first taste of mountain bike racing, and I liked it. Fast forward three years and it was time to once again line up for another 50km Kowalski Classic. Like my first ever race, my prep was lacking in a lot of areas. Not enough kilometres in the legs and months of illness wasn’t going to help me get through the race. A quasi-course-recce the week before helped and didn’t help. 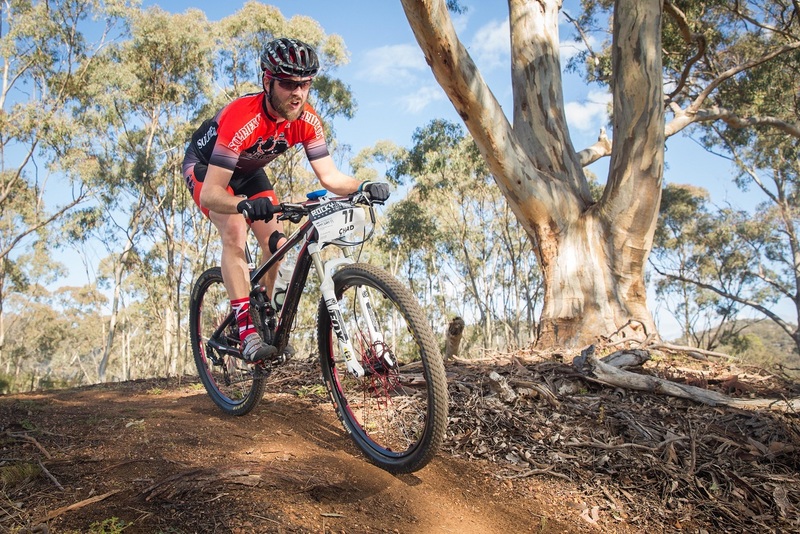 My time off the bike had dented my confidence on the bike and the more technical aspects of the course were a concern for me on race day. But I had to get on with it and with riding buddy Andy, it was soon time to get those legs spinning and those wheels turning. The start was fairly relaxed with both of us finding our pace and warming up slowly. A few climbs in and some flowing singletrack later, we were weaving our way to the front of our wave. The banter between the riders was friendly and even some of the pseudo-hitters racing up from the back waves were polite prior to their inevitable blowing up. The journey to the 36km feed zone took in some of my favourite Kowen Forest tracks and the always painful Elevator switchback climb. The last 14km of the course would take us through the contentious Romper Room and Stairway To Heaven; two of the more technical tracks on the course. As expected there was a fair bit of walking and rider dodging on Stairway, but certainly not as bad as I expected. After a little bit of a drop in my blood sugar level, a small pause was needed at the top of Stairway to have a little snack before heading towards the finish line. The last few kilometres was fast, flowing and fun; a great way to end a great day on the bike! 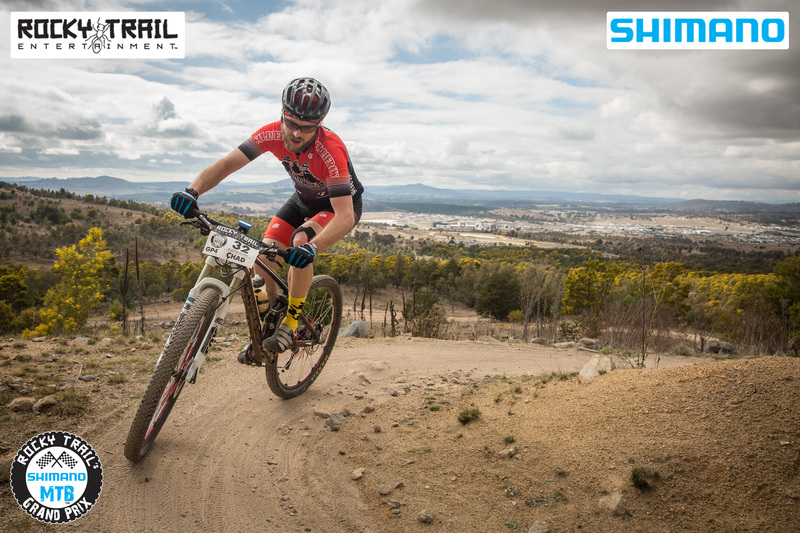 Round 4 of the Rocky Trail Shimano MTB GP was my return to riding and racing. I had a plan, and that plan was to ride my bike and finish the damn race. 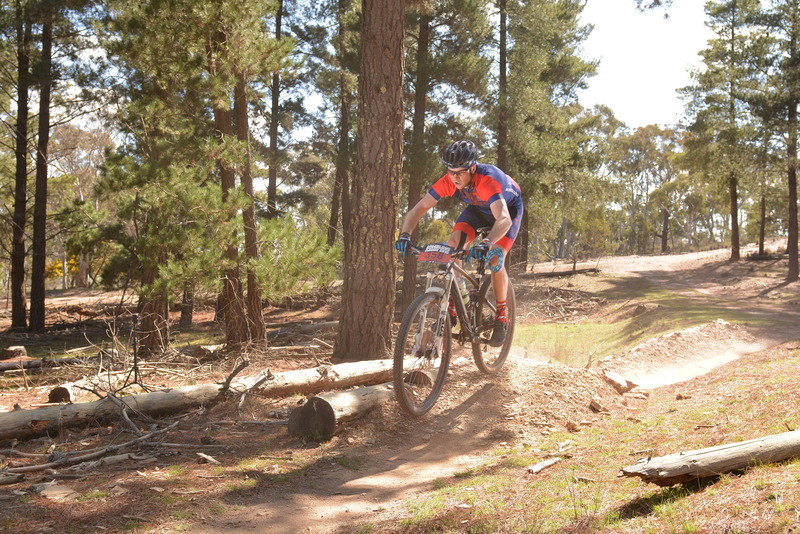 I was under no illusions that I was going to be competitive nor was I going to be setting any new Strava PR’s out at Mt Stromlo (for the record I set two). This was my return to mountain biking after what has been a pretty tough three months for me physically and mentally. I’ll address the big issue first, my rapid decline into poor health over the past three months. I was hit by a bout of influenza, a chest infection, enlarged kidney, kidney stones, feeling constantly fatigued and generally dealing with a huge case of the #CBF’s! Forget about riding, just getting out of bed and going to work was an effort that more often than not ended with me calling in sick and spending the day in bed or laying on the couch playing my XBOX. There were even entire days where I would sleep, experience raging fevers, chills and have no energy to even sit up in bed. Finally after much prodding, prompting and nagging I saw a Doctor, had an abnormally large amount of blood taken, pee’d into a heap of containers and BAM! ; Seemingly out of nowhere, I’d gone from a very fit, (usually) healthy 33 year old to a diabetic, high cholesterol having, unfit, unhealthy 33 year old. Oh and those days where I would sleep and it was sort of like my body was shutting down, yeah well, they were hypoglycemic episodes; the sort of thing that can kill people. My next step was to grip this up… I wasn’t Type 1, so no insulin injections which is good, but I was going to have to look at my diet, so a dietician was consulted. As with the various Doctors I’d spoken with, it came as a fairly big surprise to her that I was in fact healthy, fit and a vegetarian. So time to look at exactly what I was eating and unsurprisingly it was time to cut out a heap of the unhealthier things I was eating such as cakes, slices, soft drinks and other high sugar foods. What would this mean for me for day to day living? What does this mean for me for riding and racing my bike? Put simply, I have to eat healthier, eat a hell of a lot more, a hell of a lot more often and bloody well make sure my blood sugar levels don’t drop. But this raised more questions than it answered. As most cyclists know, energy gels and bars are the go to for nutrition when riding. Now I can’t just go and smash a heap of high sugar/high glucose syrup into my body when I feel like it now; but I can still use them. In fact they are very important if my blood sugar level drops too much. The key is moderation and eating proper food while riding/racing. Everyone’s favourite fruit banana is out of the question thanks to an allergy to the yellow bastards so I stuck with my old friends’; Vegemite sandwiches and liquid food drink. So with a somewhat redefined nutrition plan in mind I started riding what was my first race since deciding to get on with life now I finally knew what was making me sick and holding me back. So back to my plan, which was to ride and finish the 4 hour race. Fitness was going to be an issue, a lingering injury was going to be an issue and the ever present Black Dog biting at my heels was going to be an issue. One lap at a time I said to myself; 4 hours give or take on the bike should get me 5 laps, but I’d be happy with 4 as I didn’t know how my body would handle the riding and how much time I’d be spending in transition during laps. The start of the first lap was the always grinding fireroad of pain leading up the start of Bobby Pin Climb. It was during this grinding, heavy breathing prologue that I realised I should have warmed up before the start of the race. With my heart-rate monitor feeling like a boa constrictor across my chest I could see my heart rate rapidly climbing on my GPS… 181, 182, 183BPM… 2 more BPM’s and my GPS would start beeping at me. But suprisingly it dropped, it steadied and I was climbing Bobby Pin quite easily, albeit, slower than usual. Only another a few more kilometres of climbing before the descent back into transition. Wash, rinse, repeat! Lap 1 turned into Lap 2 and my thoughts changed from “I wish I warmed up” to “I wish I wasn’t wearing a long sleeve jersey!” My body was feeling good, my bike was feeling good and the tracks were immaculate. I was in a rhythm and more importantly I was enjoying myself. Surely my Flow would be around the next corner or on the next descent. Of all places I found it on Rollercoaster; a track that in its previous lifetime was a rocky, rutted, churned up track of death and despair. But Rollercoaster MKII was a fast flowing, tight cornered track that kept the line between fast, fun and faaark! a very fine line indeed. It was on one of the tight corners that I keep my fingers off the brakes and let my bike do what it was designed to do. I let it decide how to best take the corner with a little extra speed behind it. Sweet!!! After a change into the short sleeve jersey; Laps 3 and 4 followed without fuss. More of the same with some cramping starting to set it thanks to my recent time off the bike. Lap 5 culminated with an extended break to say hello to my Wife, Mother and Daughter who had arrived to see the end of the race. And of course the little incident of Jamie I falling off his bike and onto mine during his rapid fire transition. A quick straighten of the bars and it was time to head off again. The final climb took a little longer than the previous laps as more cramping set in but with no more time left on the clock it was just a matter of finishing my final lap. As I crested the final section of Echidna Gap I stopped and enjoyed a brief moment looking out to the surrounding Brindabella Mountains. With a great view and a big day almost over it was time to say my goodbye to a mate who had recently lost his battle with PTSD. 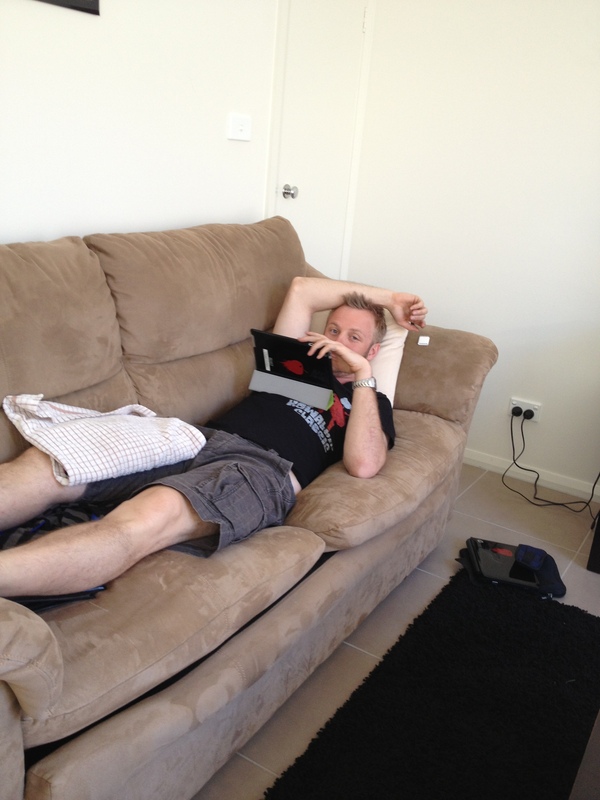 After a quick descent including a little race to the finish line against Adam ‘Rocket’ Rolls my race was over. It was a great event and day to start rebuilding and racing again. 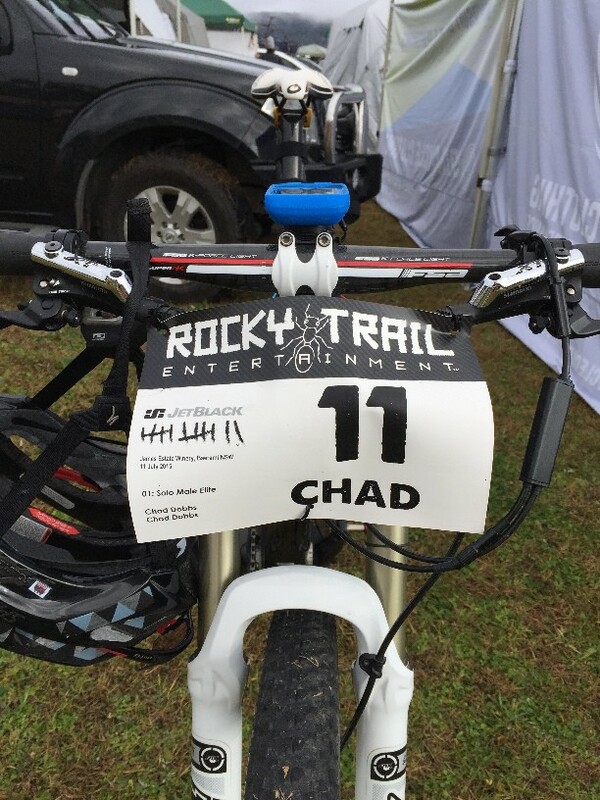 A huge thanks to Carly, Mum and Celeste for coming out, the Rocky Trail crew for another great race and to The Berm, Pedal For Pierce, Onya Bike and Spin Cycle Clothing crew for being awesome and supportive as always. I’ll cut straight to the chase. 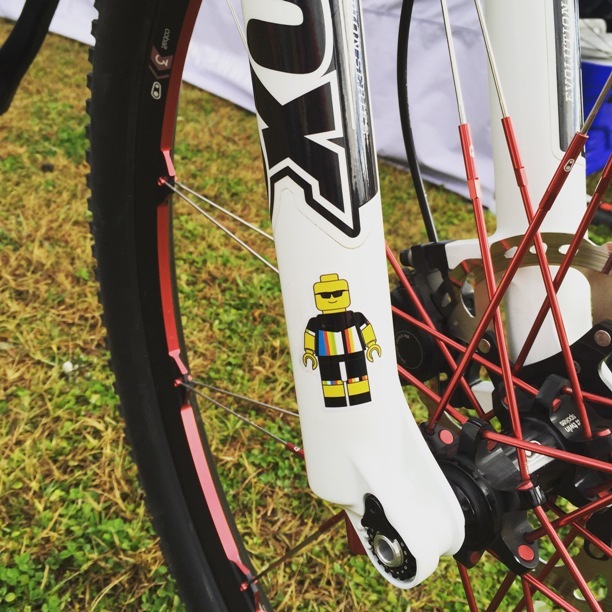 This year’s JetBlack 12 Hour race was a DNF. 2) In the 4 weeks leading up to the race I had a bout of bronchitis, laryngitis, mystery deathbed illness and had formed a habit of urinating blood quite often. 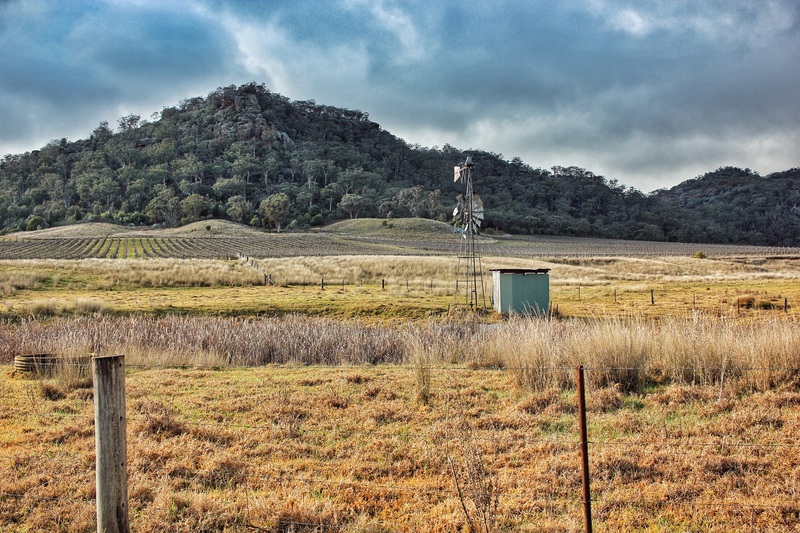 So anyway, I travelled six and a half hours through rain and hail to arrive at the beautiful James Estate Winery in Baerami NSW. After a quick setup of my camping spot I settled in for a cold night and a hot meal with the Spin Cycle Clothing MTB Team and the Pedal 4 Pierce crew. The rain cleared and we were in for a warm and sunny start for the race. I donned the Soldier On Cycling kit for the final time in a race and made sure my bike was ready to roll. After some deliberation over starting the race in a long sleeve or a short sleeve jersey I started the race with the guns on display. I headed off onto the grinding fire-road before entering the pristine James Estate singletrack. The field spread itself out with the whippets at the front and the slow grinders at the back. I found myself somewhere in the upper middle of the pack and set an easy pace for myself. My easy pace idea was flawed from the start as I found my heart-rate sitting between 170-180bpm for my first two laps. I pitted for a few minutes to have a quick feed and swap out my bidon before heading out again. I was already feeling fatigued and I had been riding for a little over one hour. My plan of taking it easy with plenty of stops, looked like it would need a few extended stops thrown in for good measure. I headed out again a nice easy pace once again and watched as my heart-rate edged ever closer to my 185bpm maximum. On my third lap leg cramps started to creep up on me. It was very obvious that my lack of training and conditioning was going to rear its ugly head sooner rather than later. I was about three-quarters into my third lap when I came off my bike immediately after a fairly innocuous drop off thanks to my front wheel going one way and the rest of my bike wanting to have a nap on the dirt. Despite what I thought after brushing myself off, my fall didn’t help my ongoing cramping issues. I pitted after my forth lap and headed out for a cramp/pain filled fifth lap. Every little pinch climb and every time I stood out of the saddle caused my quads to seize up. Getting to the end of this lap was difficult so I decided I would definitely have an extended rest/most likely retire from the race just shy of 4 hours on the bike. After hanging up my helmet, having a feed and getting changed; I spent the remainder of the 12 hour race taking photos of the event and helping Mrs Rocket Rolls pit crew for Rocket Rolls. 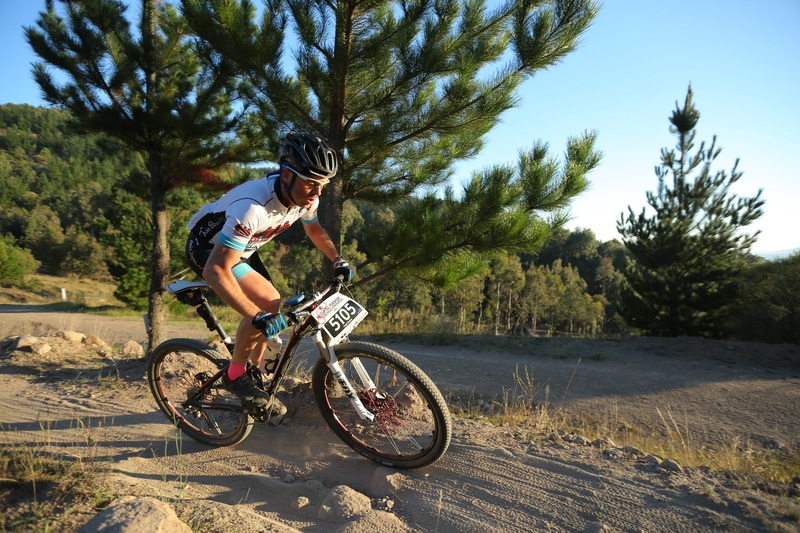 While my race didn’t go well it was great to see some great results from my friends in the Spin Cycle Clothing MTB Team and the Pedal 4 Pierce Crew!
. :Goodbye James Estate for 2015:. 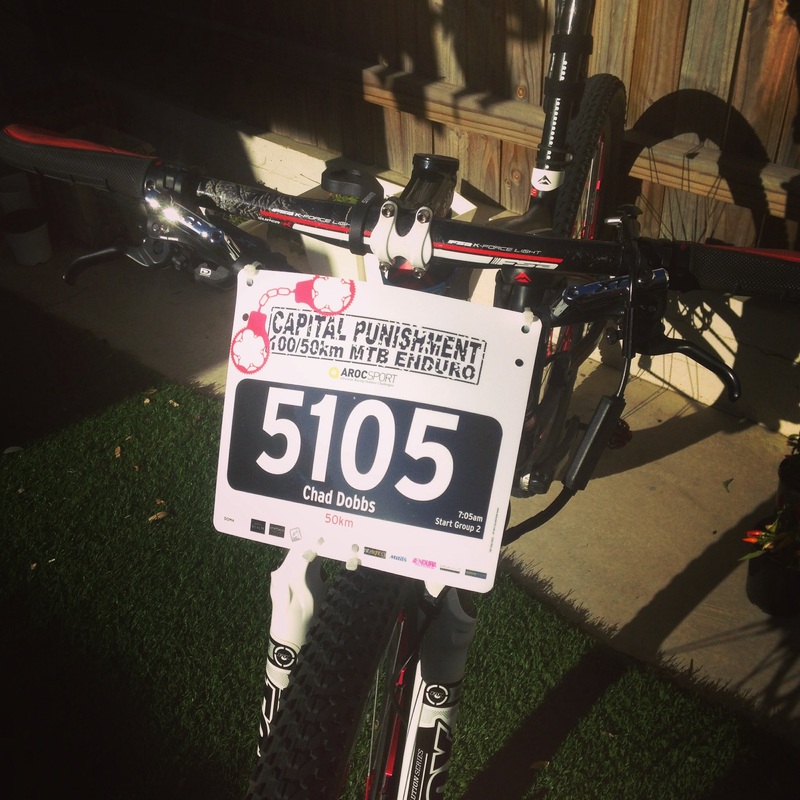 For the 2015 edition of the Capital Punishment mountain bike marathon race, I thought long and hard about entering. 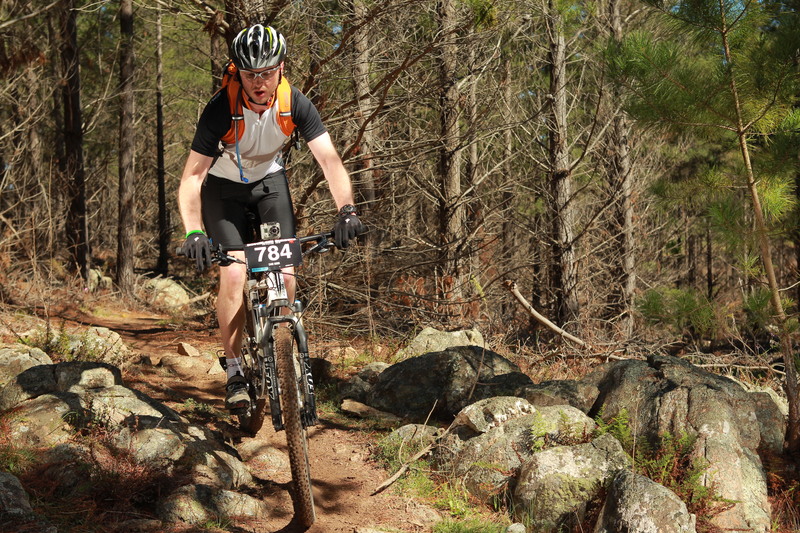 The 2013 event was my first 100km race and was incredibly enjoyable for me. The 2014 event was a bittersweet event, the seeding system was, for lack of a better term – a shitfight – which saw me start at the back of the race in Wave 6; and concluded with me finishing at the tail end of Wave 2. I had resolved to not entering the race up until my Wife suggested I race the 50km instead of the 100km event. Fast forward to the day before the race and I was committed to rolling out and just riding comfortably for 50km. I had intended to ride out to the National Arboretum for the start of the race. The cold morning combined with the requirement to have lights meant I drove out and would use the long grinding climb up Dairy Farmers Hill as my warm up.
.:Sunrise at the National Arboretum:. In the middle of Wave 3, the start saw the usual rush until the realisation that the first 10 minutes was, in fact a very steep climb, set in. I watched as Argo powered off into the distance in front of me, as I settled into a steady rhythm that got me up the hill. 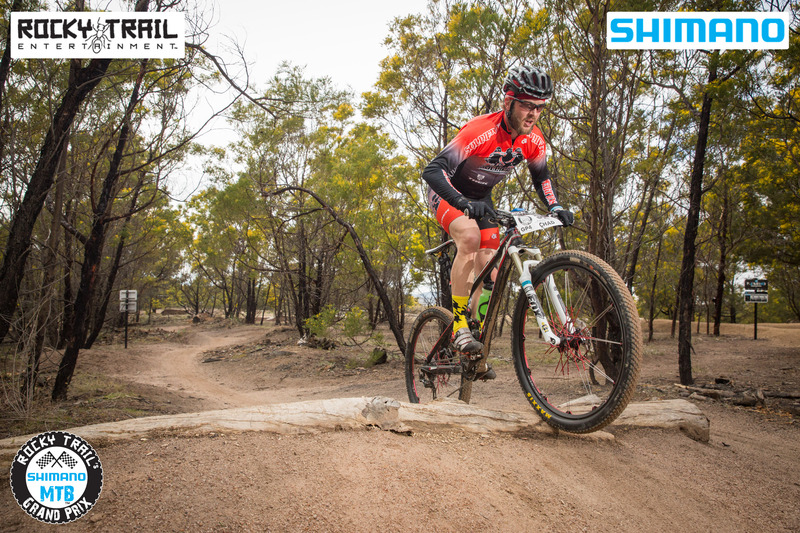 The first section of the race was out of the Arboretum towards Mt Stromlo. Heaps of grinding fireroad that kept the heart rate up and the legs spinning. I glanced down at my GPS intermittently, watching the kilometres tick over, trying to work out how long I was going to be on the bike for. I did the numbers, thought about the singletrack ahead and worked out I should be able to finish in a little under 2 and a half hours. 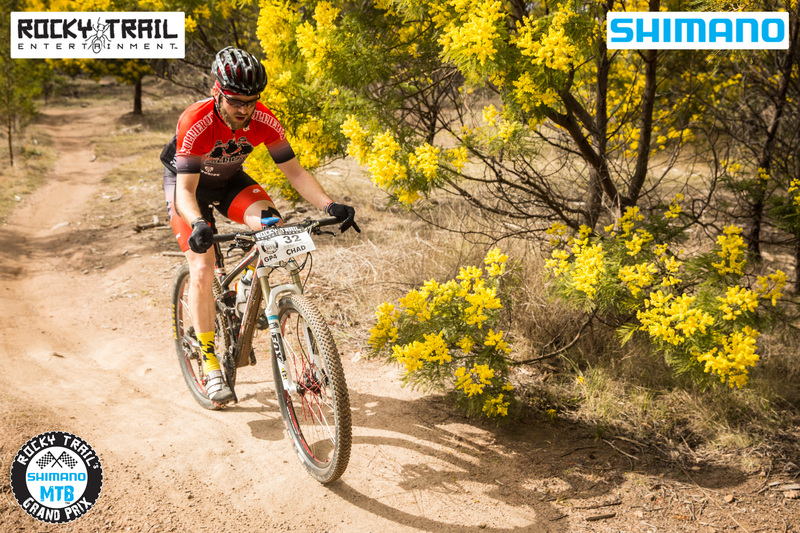 The Mt Stromlo section took in a lot of fireroad that included what felt like a hell of a lot of climbing interlaced with sketchy descents and even sketchier corners. A few times I felt the rear wheel washout which lead to some impromptu dirt drifting. 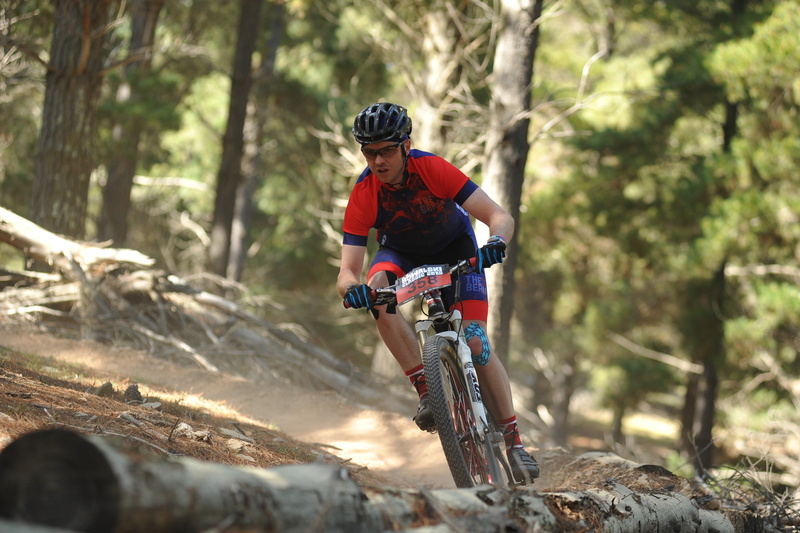 By the time I re-entered the singletrack I knew I had around 30 minutes of riding time left; which would put me across the line in around 2 hours and 20 minutes. So I pushed on and increased my pace. During the last section of the race I started to catch the tail end of Wave 1 and looked at my GPS. I was going to finish the 50km race in under 2 hours and 20 minutes. So with a cramping left calf I spent what was left in the tank. I finished in 2 hours and 16 minutes, 20th in my category and 56th overall for the 50km race. Not a bad result for a middle of the pack hack with roadie noodle arms!
. 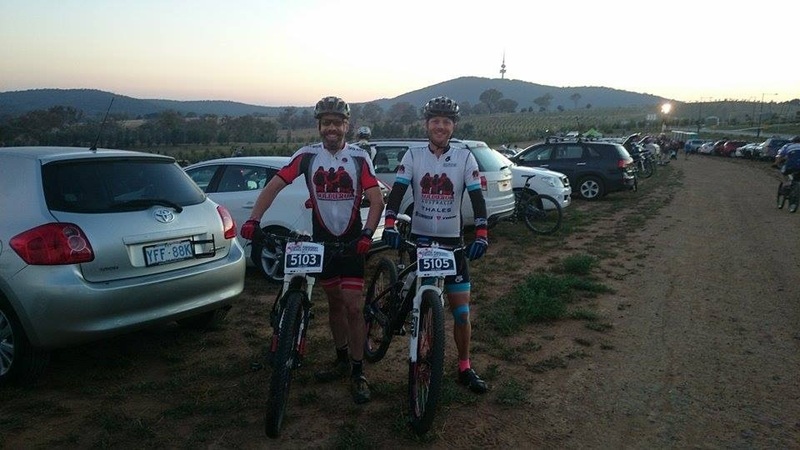 :2015 Capital Punishment 50km finished:.